I’m typing this out without knowing if I will even rate it. I know, I’m a wild woman today. The Abominable Bride was passed to Sherlockians as something to chew on, because the waiting for season four has become slightly ridiculous. It seems silly to wait so long between seasons. Aren’t they running a risk that the crowds will become disinterested? The AB is the length of a normal Sherlock episode, about one hour and thirty minutes (i.e. a short movie). Sufficient amount of time to tell a story without making an entire movie out of it if you ask me. The Abominable Bride, once understood what is going on, makes so much sense. Season three ended wildly, and it is obvious that Sherlock has more problems than we’ve always known and accepted, and this slightly deranged and wildly fanciful episode is proof of that. What is real and what is not real becomes the big question. Initially everything simply looks by a design of the creators to bring a special episode set in another world. But could it be? 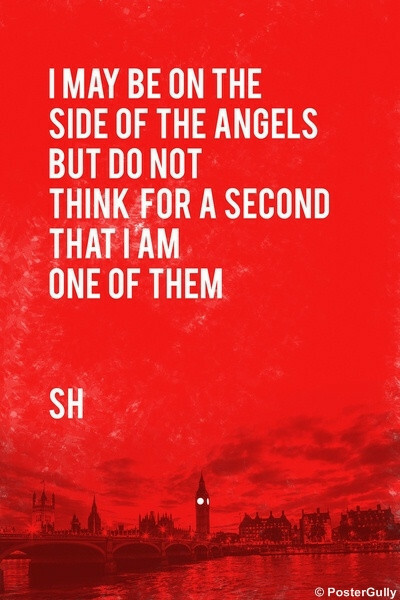 Come one, the writers of Sherlock is way too crafty to let an opportunity go amiss like this. The AB manages to be spooky and freaky, intelligent and well written. The hooded scene was amazing, the culmination of who and what the Bride was and how she pulled off her stunts are essential to what might happen to season four, in my humble little opinion. But has this classic episode of Sherlock become too Sherlocky? I don’t know. I thoroughly enjoy Benedict Cumberbatch – he’s just so perfect as Sherlock. However, are they making him be too quirky? I don’t know, I don’t know. There were some scenes where I felt that his character is being exploited too much and losing the essence of the true character of Sherlock Holmes. Have you seen this episode? What did you think? Thorin’s decent into madness and his redemption. These were some of the only scenes that felt true and authentic, it was part of the actual literature and Richard Armitage’s portrayal was something I continued to enjoy. Luke Evans as Bard: The village people couldn’t act if something slapped them in the face, but Evans impressed me as the no-nonsense leader the Lake town needed. 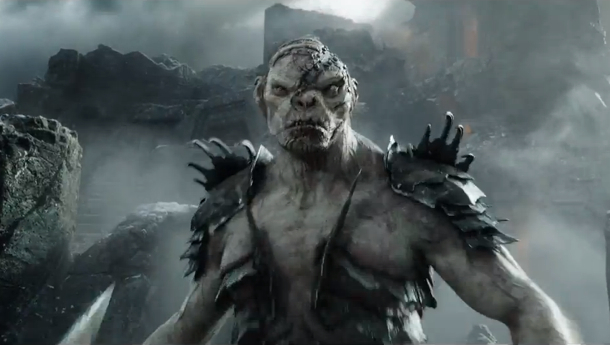 Azog the Defiler and all his merry Orcs: I can’t remember if he is in the book, but he worked in the movie really well. He was scary and gross and the end of him was actually one of the scenes I thought worked well. Erebor: SO majestic and beautiful. The legions of Orc armies – It will always give me goosebumps. Bless Viggo Mortensen with twenty children for refusing to take part in the Hobbit (hem, hem Orlando Bloom). I knew they would sneak in a mention of Aragorn somewhere, but at least he stayed out of the show like it is supposed to be. 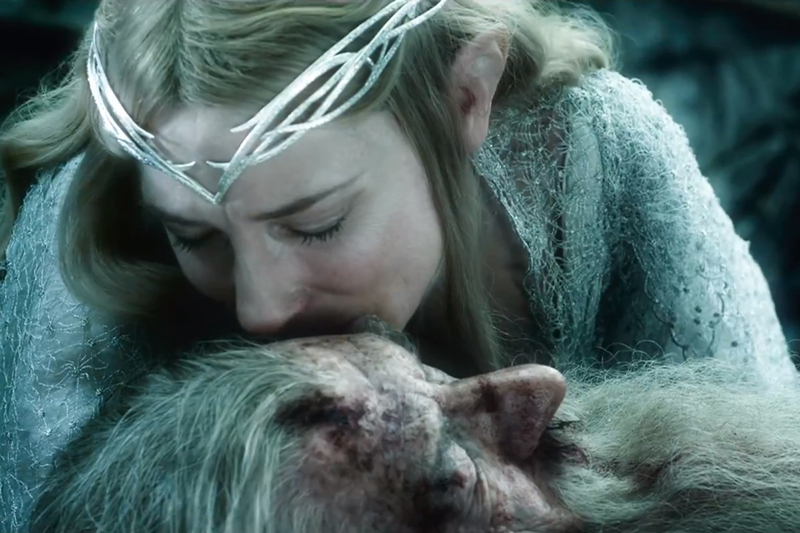 Ian McKellan as Gandalf, Kate Blanchett as Galadriel, Hugo Weaving as Elrond all stayed excellent casting. Dain: Talk about a character that looks like something from a fairy tale and not real. The End: Bilbo’s return to the Shire gets at least 15 minutes of unwanted screen time, but you get no peek what happened to Bard, Thranduil, Tauriel and the Dwarves. Furthermore: Bilbo’s return and him finding his stuff being auctioned off? NOT happy with it, it defies everything about Hobbits and their nature. The music score: One of the main reasons Lord of The Rings was so successful was thanks to the epic music score in the movies. It moved you, helped run the plot and carried every scene through. The music in the Battle of Five Armies was jumpy and didn’t really help the scenes at all. Bulky Legolas: I mean 1) what is he doing in the Hobbit, 2) he looks so heavy he could break branches of trees and elves should be tall and slender by definition. All dat love: I’ve harped on this for ages but WHY DID PETER JACKSON THINK A LOVE STORY WOULD BE APPROPRIATE BETWEEN AN ELF AND A DWARF??? Extended fighting scenes: Meh, not really necessary. 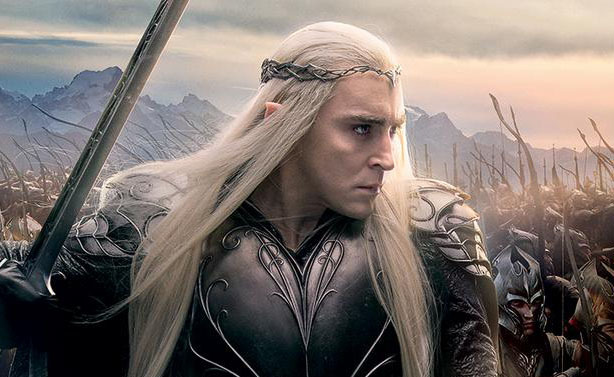 Lee Pace is a drag queen: Thranduil did not impress me at all. He was too emotionless and callous and his nasal pronunciation of everything irritated me senseless. 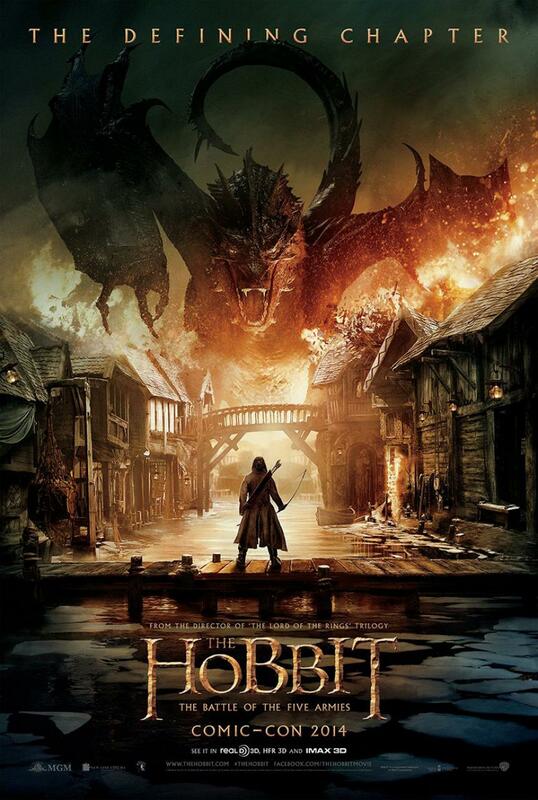 Overall impression: Despite the large budget, the Battle of Five Armies is haphazardly composed. Mostly fan fiction and unimpressive. Peter Jackson needs to step back from the Tolkien material now and leave sacred things sacred. Happy Friday all!! Today is my last day of holiday (sad sigh) so I am cheering myself up with things I am completely excited about that is upcoming soon (or not so soon). Enjoy!! When will this happen? Hopefully I will get to watch this Saturday. Even though reviews have been mixed, I am still excited to see what Katniss Everdeen gets up to. Expected Rating: 7/10. I’m very sure that people are probably complaining about the correct things. I love the Lord of the Rings so much I haven’t yet reviewed it yet on this blog – I don’t want to screw it up, you see. I have enjoyed these movies OKAY – they are long, I disagree strongly with the presence of a Dwarf and Elf love saga and am amused by the fact that they could make three movies of that teensy book. BUT it is the only movie my dad sees in cinema and can’t wait to watch it with him – he and I are the true fans in the family and can discuss this for hours afterwards. Expected Rating: 7/10. Very sure the length of this movie will irritate me. When I heard the imminence of another Jurassic World I was like erm, really? Wasn’t there about fifty million installments, each a bit worse than the previous? I loved the first movie a lot as a kid! I have to say, this is looking very good because 1) Graphics, 2) Chris Pratt, 3) DINOSAURS + SCIENCE. When will this happen? South-Africa doesn’t have a release date yet on IMDb, so hopefully within 2015. Expected Rating: 8/10 Looking good! Despite he fact that the filming on the South-African highway gave me an hour delay in my plans a few months ago, I am ridiculously excited. I CAN’T WAIT!!!!!!!!!!!!!!!!!!!!!!!!!!!!!!!!!!!!!!!!!!! There is not a lot out on this yet, but it is apparently expected within 2015. 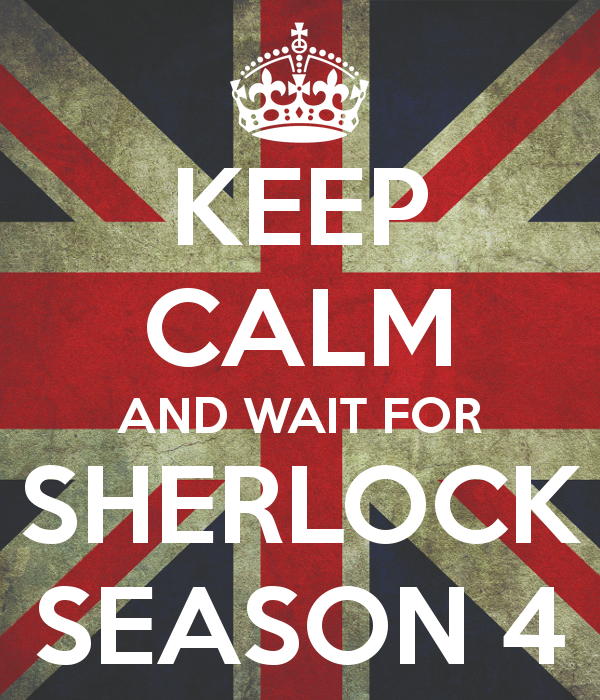 I need this to happen very soon because I have been Sherlocked for months now and it is not stopping. I actually I think I will rewatch this within the next few weeks. . I had to put this in because it is so cool! !